So much has been written in the past few months about the passing of design legend, Albert Hadley–all of it has been so deserving, and many of the homages have been so touching. I feel like I knew quite a bit about him before, but now I feel like I have a much better sense of him as the incredible gentleman & human being that he was. 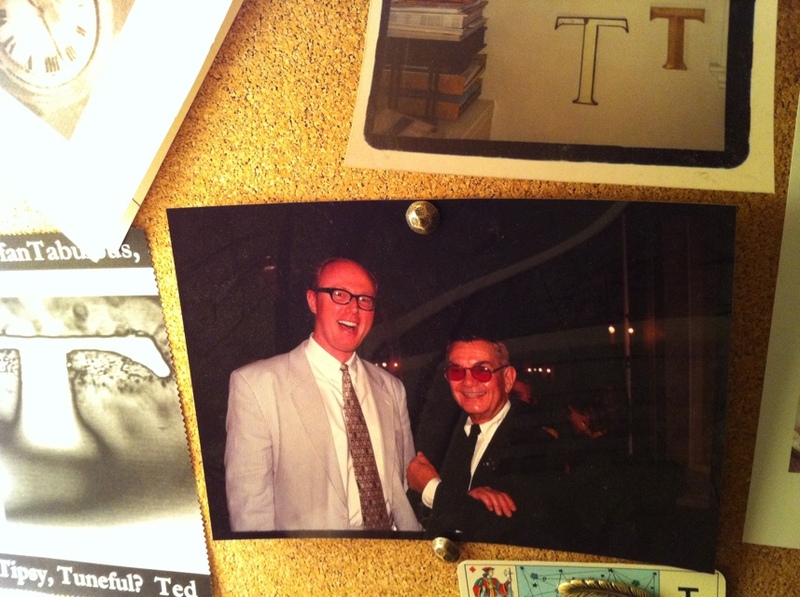 I have long been a big fan of his, and have written about the amazing evening and dinner we shared with him years ago. He was such a forward thinking man that he had many of the objects in his estate planned for sale with the One Kings Lane folks shortly after he died. I knew about the sale, and was anxiously waiting with my iPad at the ready on a Saturday morning last month. There was just something tugging at me that wanted something of his to remember him by. I was incredibly happy, elated really, to find some really meaningful objects that arrived from the sale recently. I thought I would share them with you. 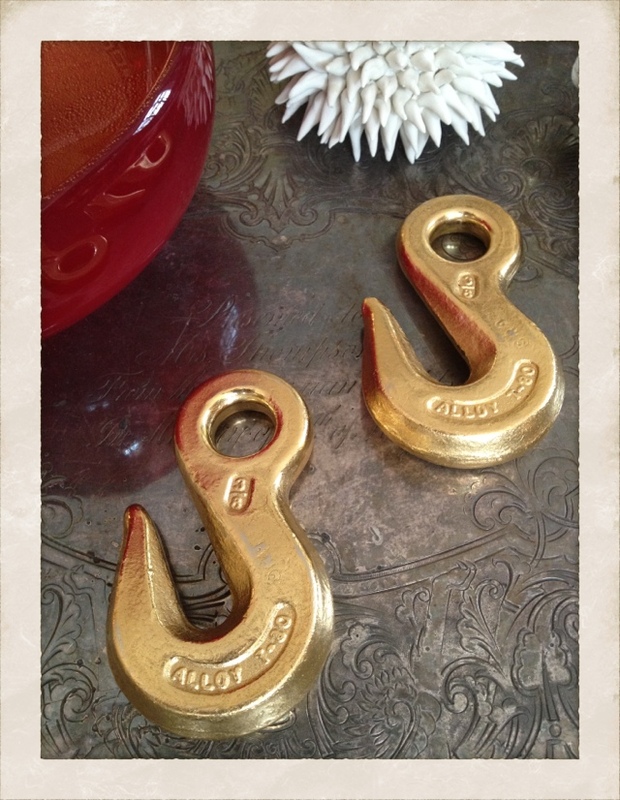 The above hooks were gifts that his firm he had with Sister Parish, Parish-Hadley, would give as client gifts when they finished a project as a remembrance and a thank you. I was over the moon to get these. 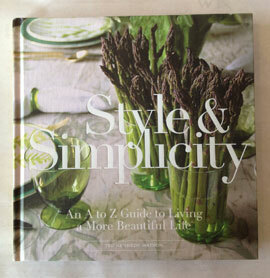 One sits in a vignette on our coffee table in the living room, and the other at WestWard on the dining table. I snapped the above photo when I first brought them home. He was a lover of English brass, and I had seen these candlesticks in a photo of his New York apartment many years back. 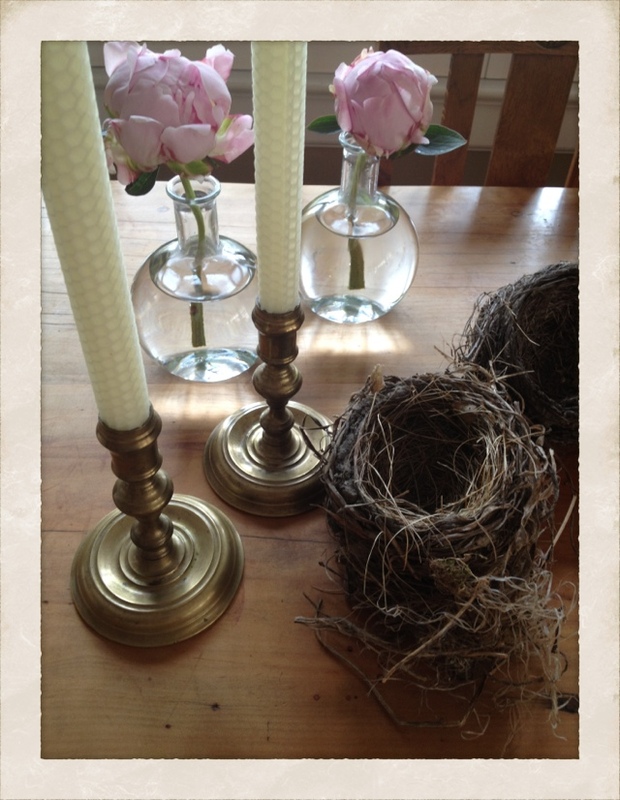 They sit fondly on the dining table filled with beeswax tapers at the ready, waiting to be lit for a meal. 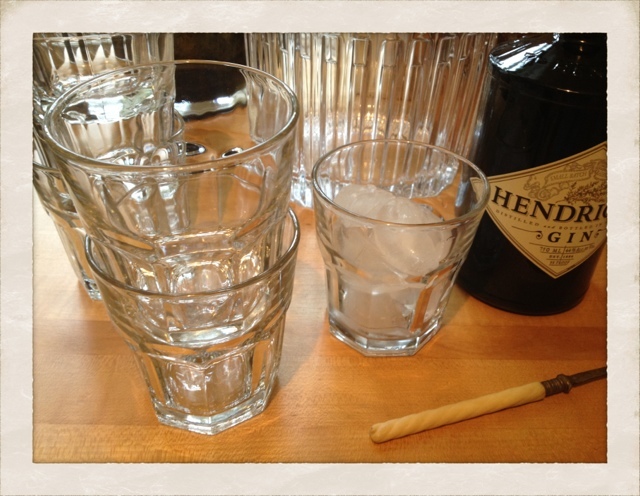 Much has been written about his love of gin, which makes me so happy I can hardly stand it. We are gin fans at the Watson-Sive home, so I love that we shared the same fondness for the spirit. He was also someone who respected utilitarian objects. When the sale of a set of 24 of these basic glasses scrolled up, I thought they would be a perfect reminder of the gin & tonics he served to his guests. They will continue to serve in that tradition in our home as well. There you have it. 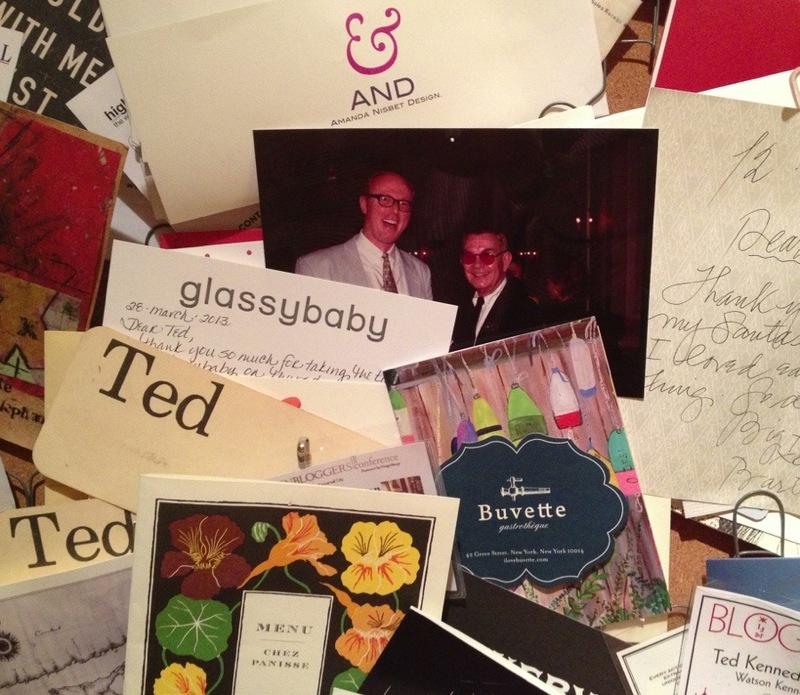 A few things that we will cherish always, and that will serve as reminders of a gentleman who brought design, style and so much more into many people’s lives. I was saddened by the recent news of the passing of design great, Albert Hadley. 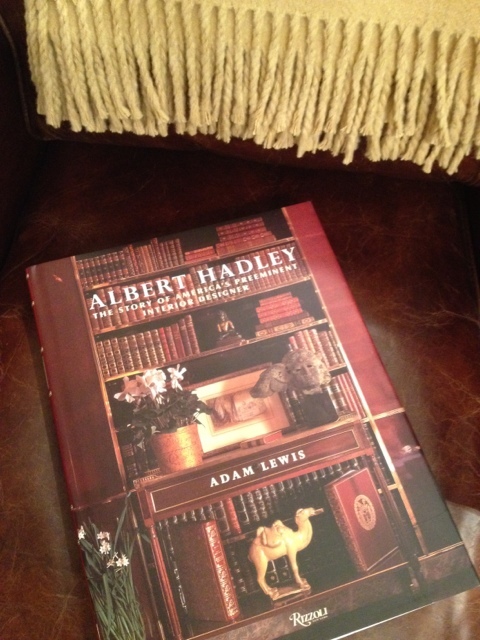 I had the pleasure of meeting Mr. Hadley many years back at a dinner in Chicago, and was taken by his wit & charm. He had not one ounce of pretension, with impeccable manners. It was an evening I will never forget. He was known for his amazing eye for design and detail, combining unexpected color and elements, with an appreciation for history as well as the new. His design and rooms had a flair unmistakable to him. The below quote ringing even more true now that he is no longer with us. The wall directly in front of my desk in our office is lined with cork. It has been a really fun way to display photos, cards and other items that have meaning to me. I am always on the hunt for unique push pins, so those too are visually appealing. The wall is probably 12 feet long, so there is ample space to have a rotating gallery of objects. 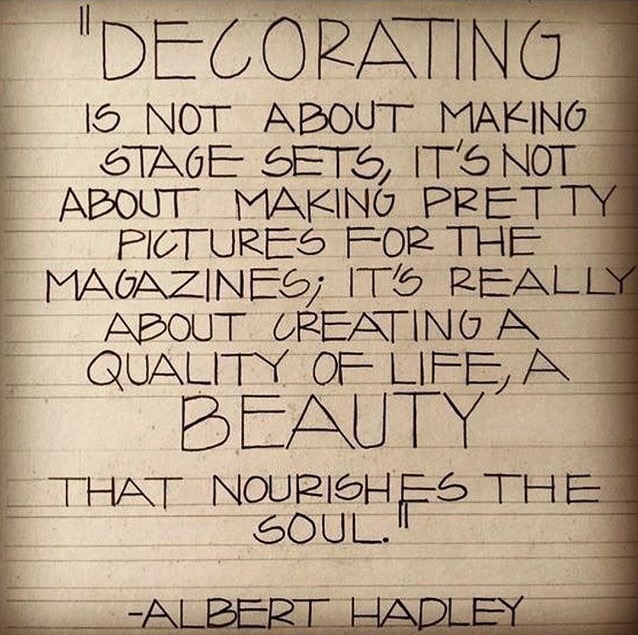 I was sitting having my lunch yesterday and was reminded of the amazing dinner in Chicago where I got to meet design icon Albert Hadley, who was the guest of honor. I was completely and utterly charmed by him. He was incredibly gracious, warm and witty the entire evening. It was a dinner & night I will always look back on with great fondness. 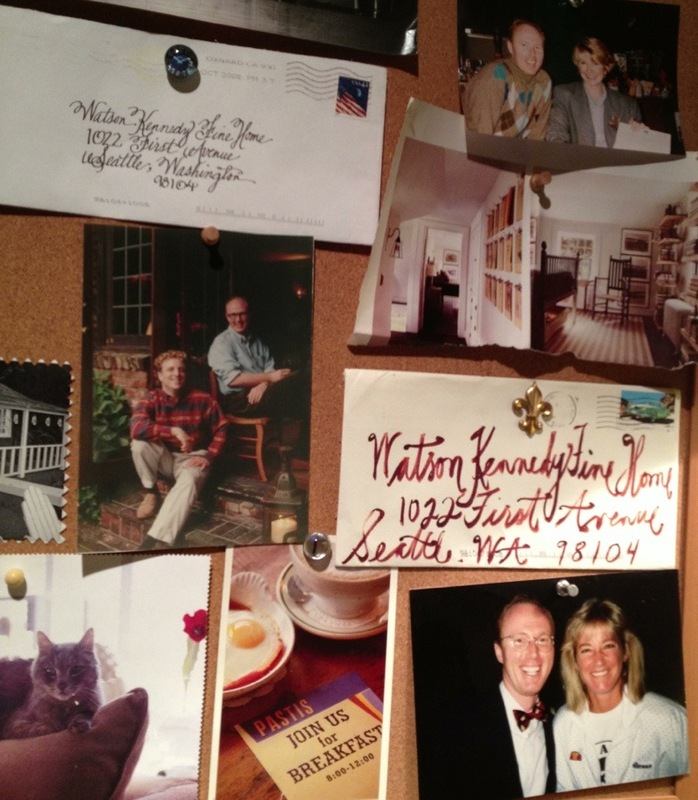 The cork lined wall really has become an inspiration space, and it’s contents filled with fabulous memories.